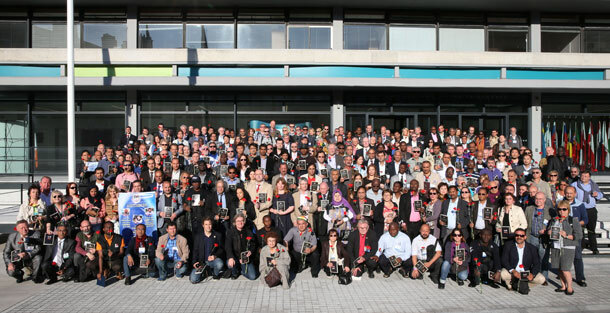 THE FIRST WEEK in June saw Dublin host the World Congress of the International Federation of Journalists (IFJ). The IFJ had decided to come to our capital city in recognition of the centenary of the 1913 Dublin Lock-Out. 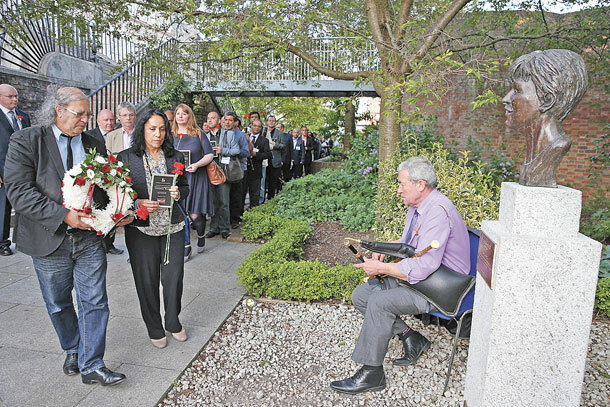 Delegates and Irish National Union of Journalists members carried 408 carnations, one for each journalist who had lost their life over the last three years, in a silent vigil from the conference centre in Dublin Castle past the Veronica Guerin monument and on to City Hall. “This Freedom Walk demonstrates our solidarity with those who have died because they were journalists. Two by two, we walked in silence. The fellow journalist beside me was Nabhan Khraishi of the Palestinian Journalists Syndicate, who told me of the daily dangers that he and his colleagues have to endure because the Israeli Government and military would rather they stopped reporting on the reality of the West Bank occupation and the situation in Gaza. Uilleann piper Néillidh Mulligan played the lament Caitríona Rua (a slow air that he composed after the death of his mother Catherine in 2001) at the Veronica Guerin monument. Veronica was murdered in 26 June 1996 by a criminal gang; in the North, those responsible for the loyalist murder of Martin O’Hagan in September 2001 have yet to face justice. Over the week I found that, across the planet, the Section 31 censorship mentality once commonplace in Ireland is alive and well in many other countries. It is often reinforced by government-approved death squads. I spoke to journalists from Brazil, Iraq, Pakistan and sub-Saharan Africa. There was a depressingly commonality to much of their daily experience as journalists. I cannot conceive of a functioning democracy that does not have a free press. In Britain, the scandal surrounding The News of the World and ‘Hackgate’ shows clearly what the virus of unfettered capitalism will do to journalism. The ownership of the media is also an important determinant as to whether or not the press is actually free. 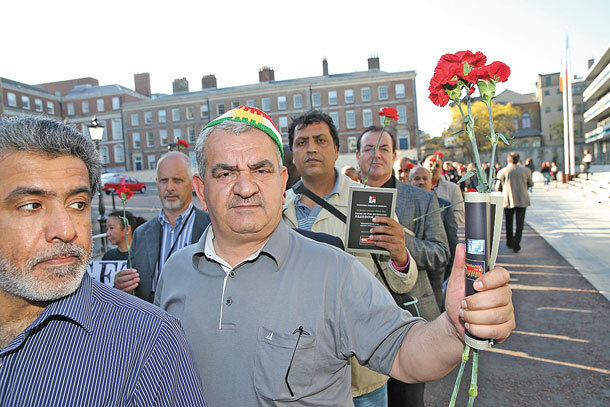 The IFJ were in Dublin to commemorate the centenary of the Dublin Lock-Out. One hundred years ago, Irish Independent press baron William Martin Murphy wanted to break the power of organised labour; today, contemporary media barons share some of William Martin Murphy’s autocratic tendencies. So in remembering the struggles of 1913 we are not looking back at a history that is closed and done with, but it connects us to what the economic realities of today. Workers can lose their livelihoods on the whim of a boss or at the stroke of an accountant’s pen. This is an Ireland that William Martin Murphy would approve of. The International Federation of Journalists conference took place in Dublin Castle. Looking out from the Print Works onto the famous battlements, I reminded visiting brothers and sisters that these buildings were once hated symbols of British rule and they are now the centre of the Irish state. James Connolly warned about a ‘free’ Ireland where the likes of William Martin Murphy and his kind would wield power. Change is possible but it takes time and collective effort and it cannot be achieved without a vibrant media. I also considered how, 30 years ago, this multi-ethnic visitation would have stood out on the streets of Dublin. Over the week they were dandering around Dame Street and Trinity College and they blended in seamlessly to the New Ireland. A sister from Brazil said she was amazed by the amount of Portuguese she had heard being spoken on the streets of Dublin. In the age of tabloid infotainment and Hackgate, it was important to reconnect to the vibrancy of great journalism around the world. Incredibly brave men and women, on a daily basis, put their lives and liberty on the line to report and to bear witness. I was proud to walk with them. 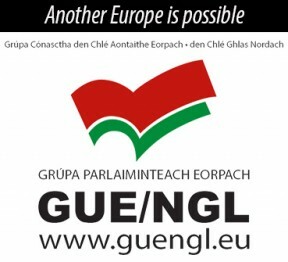 » Phil Mac Giolla Bháin is a member of the Irish Executive Council of the National Union of Journalists and is writing in a personal capacity.